LOS ANGELES, CA, December 12, 2016 – ASAP International Holdings (“ASAP”) (OTCQB: ASAE) announced today that it has successfully advised on the acquisition for UHON Inc. of The Shores Resort and Spa located in Daytona Beach, Florida which closed on November 1, 2016. Renovation plans are still in early stages. UHON Inc. plans on upgrading the resort hotel to match the local history of Daytona as well as improve the hotel for long term ownership. The Shores Resort opened in 1973 and is the only hotel in Volusia County with a four-diamond rating from AAA auto club. The Shores Resort & Spa combines the exciting spirit of Daytona with the service and luxury resort amenities you well deserve. 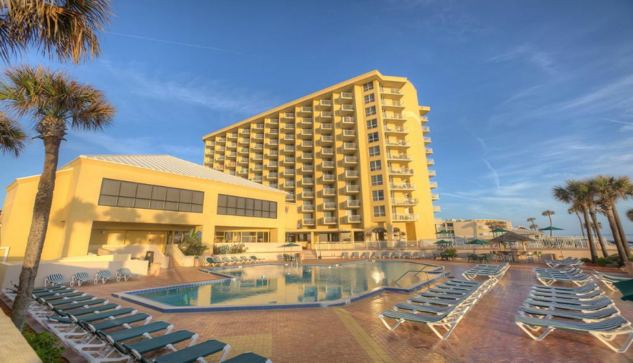 The Shores Resort & Spa is located in beautiful Daytona Beach Shores, FL, a barrier island on the Atlantic Ocean. Just 5.5 miles long and a few hundred yards wide, the City features a pristine beach in a quiet neighborhood setting. The luxury hotel offers an area of uncrowded beaches, family friendly parks and great dining establishments. We are conveniently located near many popular attractions and shops. Uhon Inc. was established as a real estate development and investment company in August 2015 in North America. Uhon puts its focus on two geographic regions: Canada and the United States. Our mission is to target real estate investment opportunities and leverage the parent company’s context to lead Chinese investors to make their way into North America real estate markets. Eton Capital Advisors is a New York based real estate investment banking firm whose mission is to deliver superior results for its clients. Each client has different needs so Eton focuses on providing customized solutions based on the customer and the deal.